Can Coolers are great to have while at a family picnic or a backyard barbecue. 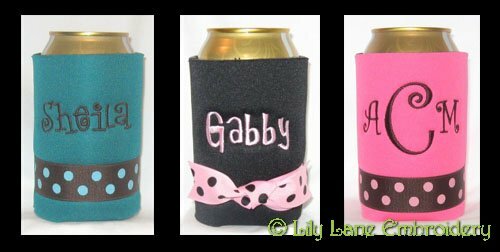 What's even better is having a personalized embroidered can cooler to keep your beverage nice and cold. 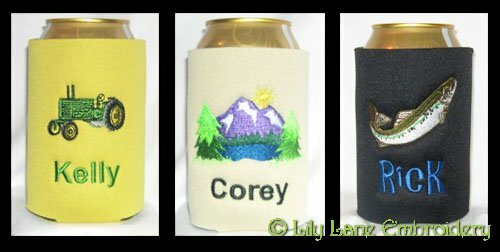 Our coolers can be embroidered or monogrammed with your name, company name, family name or event. 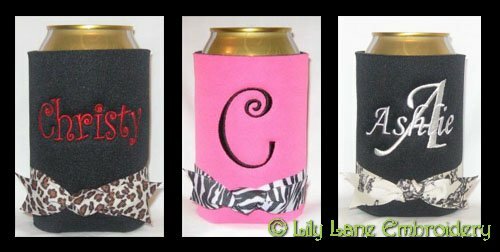 You can design your very own can cooler or check out our Best Sellers for our most popular designs. 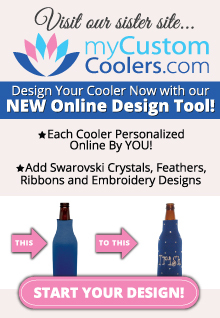 Also check out our popular color combinations for ideas on putting together your coolers.